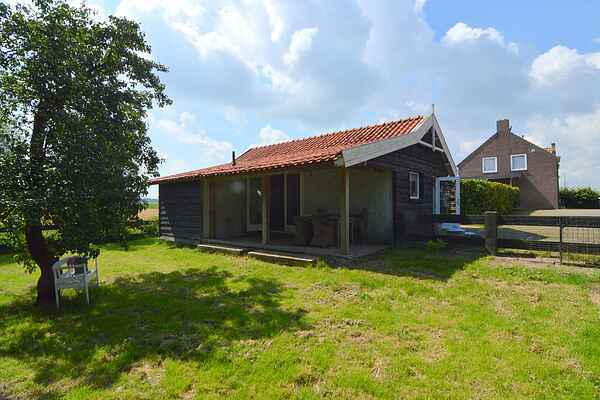 This stylish home is located in the rustic surroundings of the Biesbosch (a national park) and 16 km from beautiful Breda. Would you like to spend a romantic holiday for two in a charming home? This is definitely the right place. The enclosed garden makes this a wonderful place for you to bring your small children or pets. The home is entirely on the ground floor and boasts a spacious bathroom. The splendid decor, gorgeous pear tree, and the chickens and rabbits complete the idyllic appeal. The estate that houses the residence was previously a farmhouse. However, the location ensures that you will enjoy complete and utter privacy. The rural environment lends itself wonderfully to bicycle adventures. Some of the beautiful cycling trails run literally right by the home. Of course, you absolutely must pay a visit to Biesbosch National Park if you spend your holiday here. You can hire a boat and explore the Biesbosch yourself or board the Zilvermeeuw and take a quick cruise around this unique nature reserve. If you would like to enjoy a fine meal, we recommend a visit to Breda, with its picturesque town centre that boasts a nice selection of great restaurants. Finally, a day trip to the Efteling is just a half-hour's drive away.